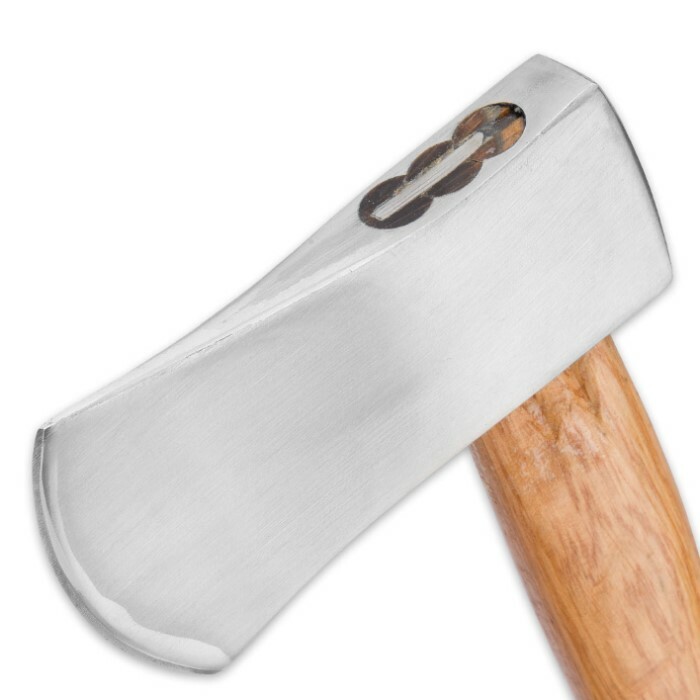 Our Battle-Ready Throwing Axe from Timber Wolf may be compact but that doesn't mean it's not up to any task. It's just easier to carry! 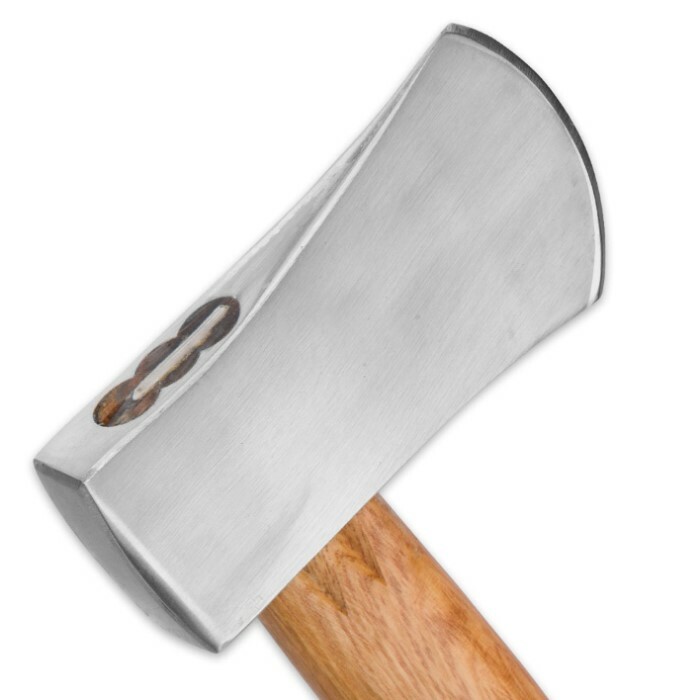 Durable and tough, the axe features a 5” head made of a solid block of AUS-8 stainless steel. It has a sturdy hardwood handle that is comfortable in your hand. It includes a leather belt sheath for ease of carry. 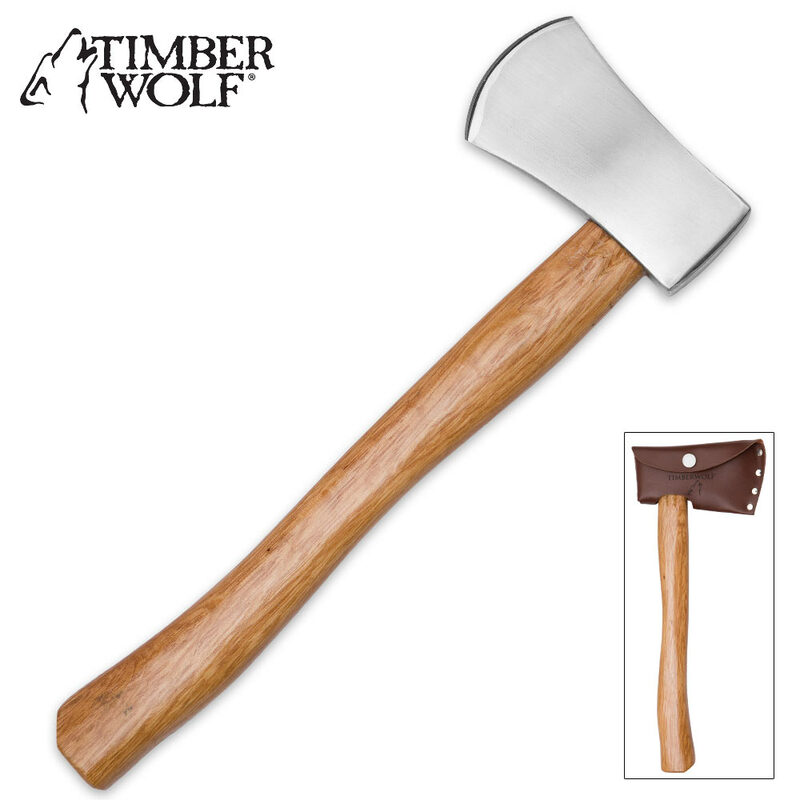 The Timber Wolf Battle-Ready Axe is 14” overall. I purchased this ax because of the simple bushman look to it, and I wanted something relatively small to carry on hikes or camps. It arrived within a few days and i am pleased with the product. I haven't put it to work yet, but the construction seems solid, no obvious imperfections, and feels comfortable in one hand. The holster is a thin leather material but a very clean design and assembled well. I can't wait to take this little ax on an overnight camp.